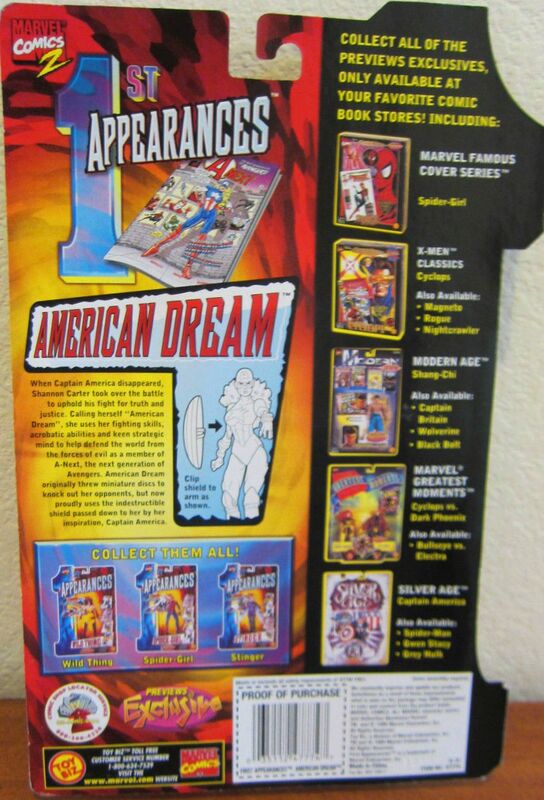 She's Fantastic: Marvel's M2 1st Appearances AMERICAN DREAM! 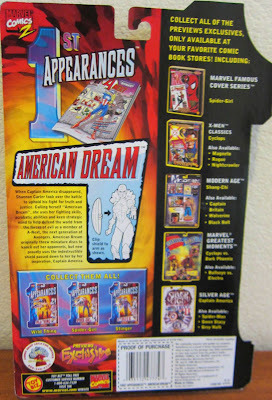 Marvel's M2 1st Appearances AMERICAN DREAM! 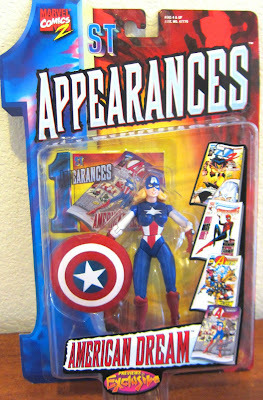 Shannon Carter grew up idolizing Captain America. Unlike most fans, however, she had a closer connection to her hero in the form of her Aunt Sharon Carter, an agent of S.H.I.E.L.D. 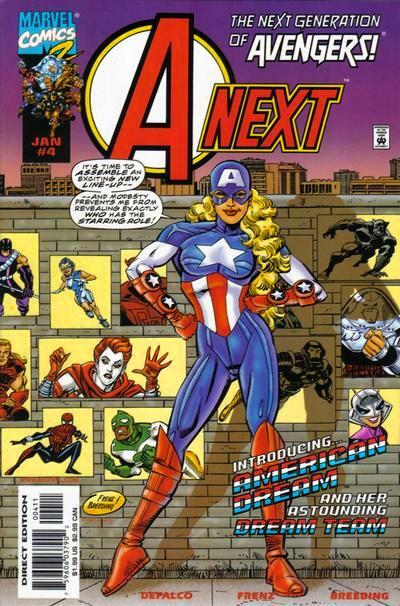 She even found herself being a tourguide in the Avengers Mansion. 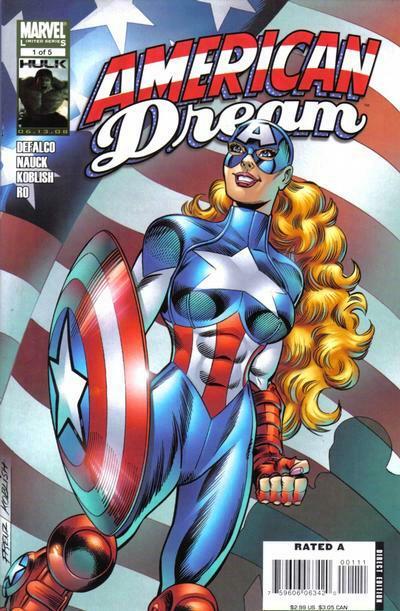 She first appeared as American Dream in the pages of A-Next (in Marvel's alternate M2 Universe) alongside Spider-Girl, Thena, and Stinger. After that series ended, she starred in a solo title, as well as Captain America Corps. This action figure is the only merchandise ever produced of Shannon (Shocking that there hasn't been a Heroclix or Minimate at least). It has all the standard pitfalls of 1990's ToyBiz figures (awkward proportions, weird pose, giant accessories, etc), but it's still a pretty fantastic toy. Her super-iconic costume is recognizable to almost anyone. Your non-nerdy friends will undoubtedly ask who she is (and if she was in the movie). Let's check out American Dream in detail below! So she's definitely not the greatest figure in the world, but when she's holding her shield she suddenly gets a very dynamic look to her. Perhaps because it's so large it partially obscures her awkward body. Here are a couple classic covers.